STV has appointed Richard Williams as managing director of its newly-formed Digital division as part of an ambitious strategy to place digital front and centre of the organisation to deliver its three-year growth plan. 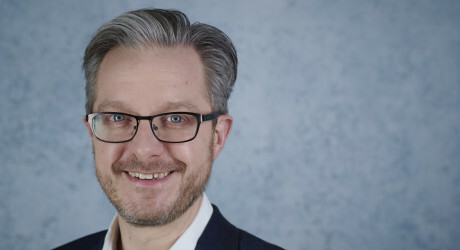 Williams joins STV from UKTV where he was general manager of UKTV Play, the successful VOD service from the multichannel broadcaster behind channels such as Dave, Gold, Really and Drama. Prior to this, Williams held high-profile digital roles at Virgin Media (head of Digital-First Content), Yahoo (UK head of Media and editor-in-chief), ITV (director, Multiplatform Production) and BBC (head of Multiplatform Production). This key appointment is part of STV’s three-year strategy for creative and digital growth, which will see the company invest £15m in new original content and its digital service STV Player to re-establish STV as an independent creative force in Scotland and beyond. In the newly-created role, Williams will focus on driving the growth of the STV Player – already the fastest growing broadcaster VOD service in the UK – by maximising the digital potential of STV’s programming, delivering a seamless viewing experience, increasing the reach of the Player and developing exclusive and compelling digital content in partnership with STV Productions. Richard will join STV in October 2018. MEDIA RELEASE issued by STV. You too can share your stories (aka press or media releases), on this site. Email here for more information.